The far-left film director once made populist hits. Now, he preaches to a much smaller choir. 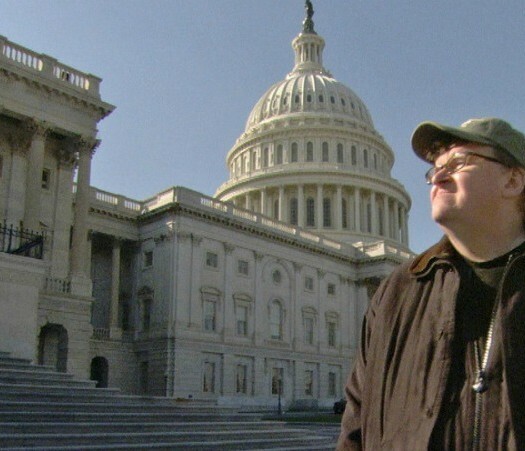 Excoriating your own country proved a pretty good gig for Michael Moore. Press adulation. Millions in capitalist-created cash. An Academy Award. Nothing lasts forever, though. Some news outlets tried to spin the sour box office. Deadline.com said it was the “highest grossing documentary of the year.” It’s only Feb. 16, mind you. The numbers speak for themselves. And so does the culture, which appears to have moved past Moore’s machinations. Here are five reasons why Moore’s moment is in the rearview mirror. Slam of the Century: The left-leaning Daily Beast let contributor James Kirchick hammer “Where to Invade Next.” How bad was the drubbing? It read like Glenn Beck after doing a tub full of Walter White’s blue meth. “Michael Moore could not have chosen a worse time to release a film extolling Europe’s virtues,” Kirchick writes as his lede. It only gets more savage from there. The author is no knee-jerk conservative, either. Still, having such a piece run just days after Moore’s newest film opens says plenty of the director’s current clout. Even Liberals Smell His Hypocrisy: Divorce is ugly. And most people wouldn’t wish it on their worst enemies. But when Moore divorced his wife of 22 years in 2014 some surprising details emerged. Take his Michigan home which Variety described as “a sprawling and casually luxurious lakefront compound in Central Lake, Michigan.” It’s one of nine properties the ex-couple brawled over during the split. The press collectively smirked at the revelations, keeping the hypocrisy narrative alive but poorly fed. 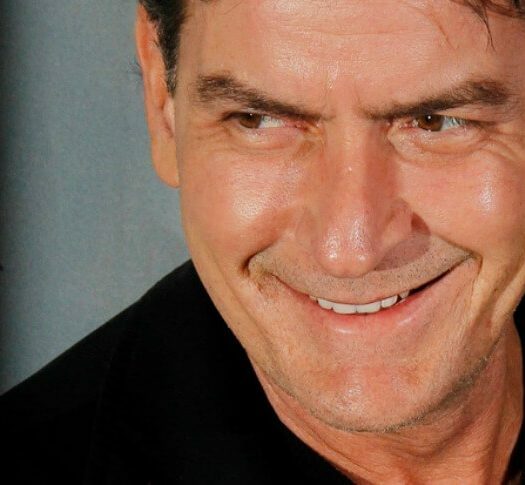 His legion of admirers clearly connected those tony dots. That ‘Sniper’ Fallout: Just as the 2014 film “American Sniper” hit theaters, Moore sent out the following Tweet: “My uncle killed by sniper in WW2. We were taught snipers were cowards. Will shoot u in the back. Snipers aren’t heroes. 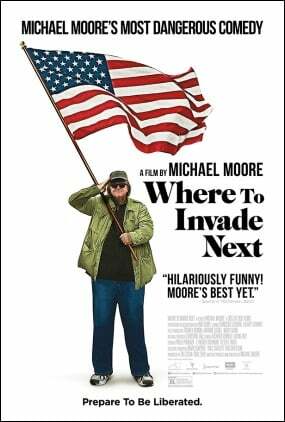 And invaders r worse.” Moore claimed he wasn’t referring to the movie in a lengthy Facebook backpedal. “American Sniper” may have angered some far-left viewers, but most movie goers applauded its craftsmanship and heroism. The director ended up looking foolish and insincere. 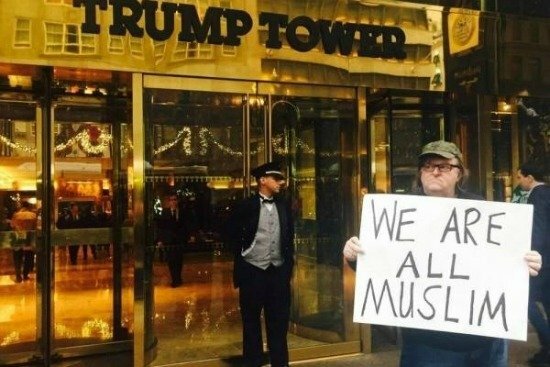 His Trump Shtick Fail: Late last year, Moore deposited himself outside of Trump Towers in New York City to protest Donald Trump’s anti Muslim immigrant stance. Armed with a sign saying, “We Are All Muslim,” the filmmaker tried to draw a crowd and create a viral sensation. Neither appeared to have worked. The press dutifully covered the event and shared pictures of Moore wearing a concerned look. The culture at large essentially shrugged.